Click on image for pdf format. 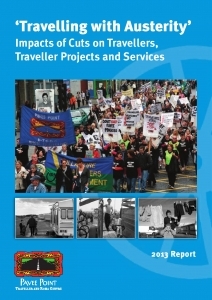 The Traveller sector has experienced significant losses in terms of redundancies, cuts in services and closure of initiatives/projects. This research maps the cumulative impacts of cuts between 2008 and 2013. 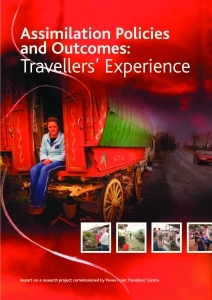 Social programmes targeting Travellers were initiated by the Report of the First Government Commission on Itinerancy, published in 1963.Travellers have been the ‘objects’ of official policy since then. 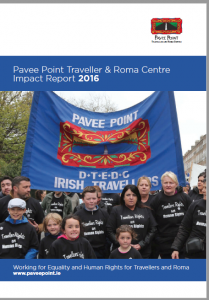 This report looks at the impact of these policies on Travellers. 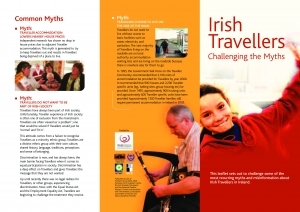 This leaflet sets out to challenge some of the most recurring myths and misinformation about Irish Travellers in Ireland. 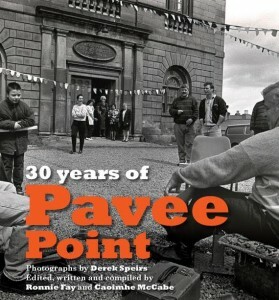 Pavee Fotochat is a pack of 94 photographs designed to be used for training and focuses on the determinants of health. CONTACT OFFICE FOR HARD COPIES. The Directory of Services was designed to provide information for the Travellers living in the Finglas and Blanchardstown area. 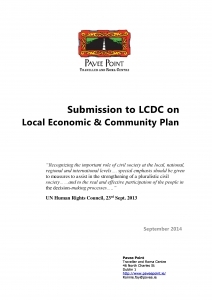 It was compiled by the Traveller PHC workers considering the low literacy levels among the Traveller population. The sections are colour coded for ease of use. CONTACT OFFICE FOR HARD COPIES.